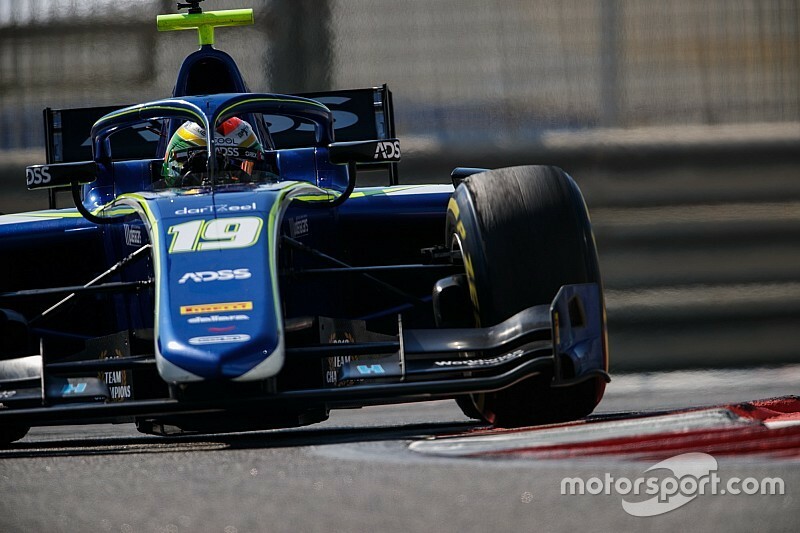 Louis Deletraz set the pace on the opening day of post-season Formula 2 testing in Abu Dhabi. 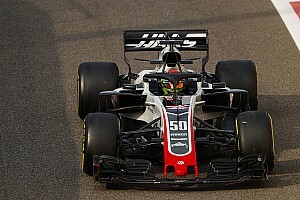 The Swiss racer, who had his maiden Formula 1 outing with Haas earlier this week, led the way with a 1m49.984s effort in the afternoon, driving for the series' newly-crowned teams' champion Carlin. 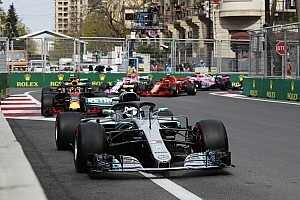 The afternoon session was suspended for half an hour – and subsequently extended by the same amount – due to a track lighting problem as the Yas Marina Circuit. 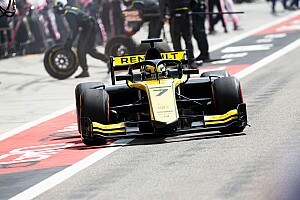 Deletraz overhauled DAMS driver Nicholas Latifi for the top spot shortly after the interruption, before dipping into the sub-1m50s margin with 30 minutes left on the clock. Luca Ghiotto, returning to the Russian Time outfit that is undergoing a change in ownership, had topped the morning and found extra pace after the break, but had to settle for second, a tenth and a half down on Deletraz. GP3 graduate Callum Ilott was the top rookie in third place, representing Charouz, while experienced F2 racers Latifi and Nyck de Vries – the latter recently confirmed for the full 2019 campaign with ART – made up the top five. Sauber development driver Tatiana Calderon, new McLaren recruit Sergio Sette Camara, Carlin's confirmed 2019 signing Nobuharu Matsushita and Prema returnee Sean Gelael were the other drivers to have outpaced Ghiotto's morning benchmark in the second session. Gelael's teammate Mick Schumacher was 12th in his maiden F2 test. The European F3 champion slotted in behind fellow rookies Juan Manuel Correa and Nikita Mazepin, but ahead of another two other GP3 graduates in Ryan Tveter – who was fourth in the morning but didn't improve in the afternoon – and champion Anthoine Hubert. Rebellion LMP1 driver Thomas Laurent joined de Vries in bringing out the red flag during the day and ultimately rounded out the order, finishing four seconds off the pace. 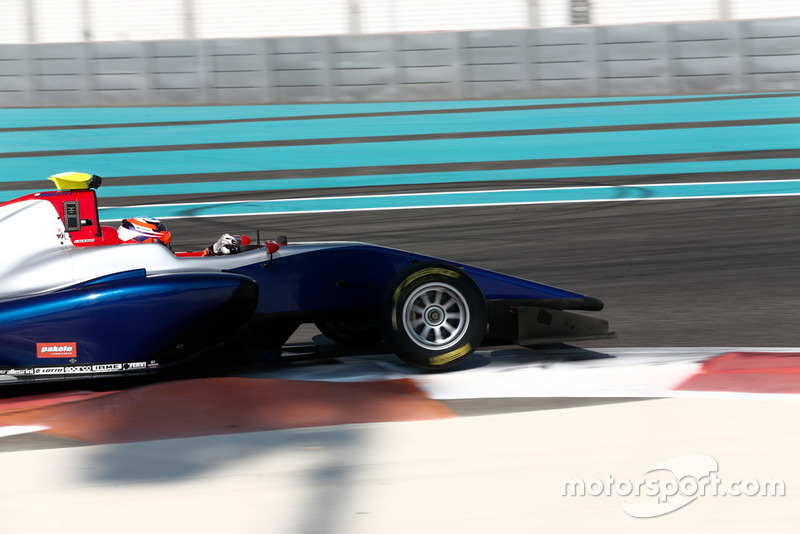 Both of the F2 sessions were preceded by GP3 track action, with Niko Kari ending the day quickest for Trident. The ex-Red Bull junior was over half a second clear thanks to a final-hour best lap as he led European F3 drivers Jehan Daruvala and Sebastian Fernandez. David Beckmann, who won three of the last eight GP3 races, was fifth, heading a refreshed line-up for champion squad ART.